Update 1: This app is only available in the US App Store. For those with US iTunes Accounts, you know what to do. Shazam, the famous mobile phone based music identification service with apps for iOS, Android and Windows Phones that let you identify the name of the song being played, has just introduced a brand new app for iOS called Shazam Player. The app, which is now available as a free download in the App Store, is a full featured music player for iOS with options like streaming lyrics, tour dates from artists, YouTube videos, artist biographies, and even the ability to buy new tracks from iTunes within the app. Below is the official iTunes description. 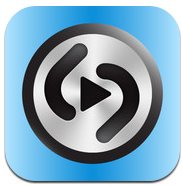 Switch to a music player with a difference – Shazam Player™ the NEW app from Shazam! Why just listen to your music when you can now see streaming lyrics, watch YouTube videos and read reviews of your favorite tracks and artists! Get to know your music with Shazam Player. It’s your music. Shazam Player lets you do more with it. 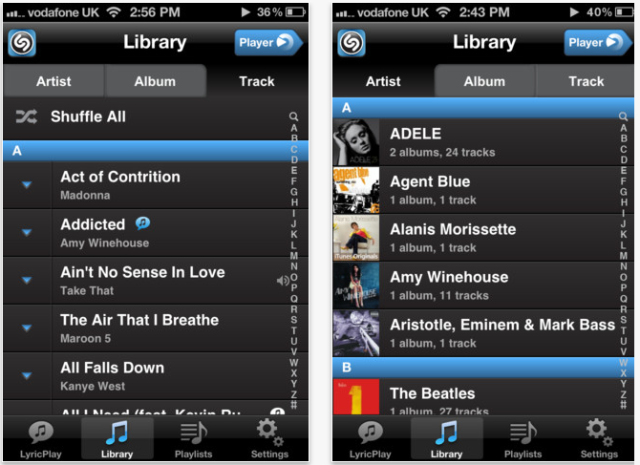 • Bring your music to life with LyricPlay™. See streaming lyrics in time to the music – you’ll always have the words to your favorite songs with you.